To illustrate what’s actually going on in Erie, let’s start by factoring in affordability. In short, owning a home will save you significant money over time. According to ATTOM Data Solutions’ 2018 Rental Affordability Report, buying a home in Erie, PA, is significantly more affordable than renting—critical information considering 46% of U.S. cities find the opposite to be true. In the case of saving on real estate in Erie, buying a home and making monthly payments account for 24.5% of average monthly wages, whereas rental expenses account for 30.8% of average monthly wages. While a 6.3% difference doesn’t sound like anything to write home about, this adds up to $777 per year, based on 2018’s average three-bedroom rent ($1,028 per month). If this small annual nest egg was used to pay off a mortgage loan more quickly, these savings could increase by nearly 30 times. For example, let’s say you put 20% down ($16,890) on a median-priced home in Erie ($84,450) for a 30-year mortgage at 5.0% interest. If you use that $777 to add just $65 to each monthly payment, you would save a whopping $21,620 over the term of your mortgage! In simplest terms, home equity is the portion of your property that you actually own. 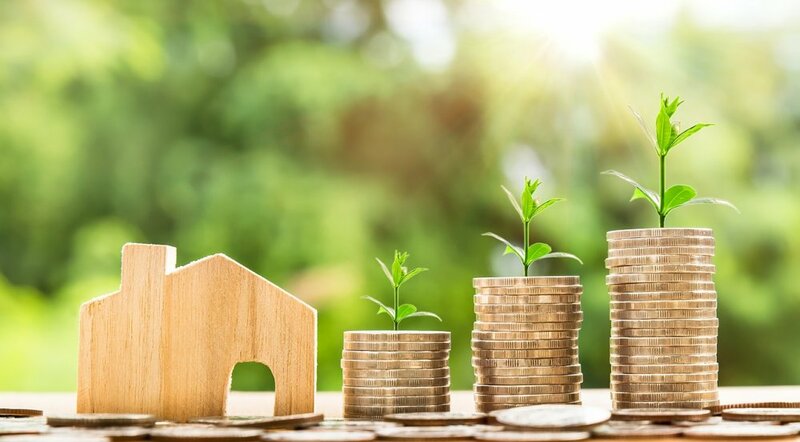 Your share increases over time as the property value increases (whether through home improvements or market changes), any liens on the property are resolved, and as you pay down the mortgage. While Realtor.com’s “hotness scale” ranks Erie’s current housing market as “slightly cool,” it’s clear that this area’s property value is increasing steadily. Trulia shows that the median sales price for a three-bedroom home (the typical size for an American home) in Erie went from $73,950 to $110,000 between 2000 and 2019. Therefore, purchasing a home in Erie, PA, can prove to be a resident’s wisest investment. It’s valuable to remind prospective homebuyers that a “hot” market often comes with an increase in volatility. While skyrocketing housing prices are alluring, they’re not always a safe long-term bet. Further, it’s helpful to look past our “slightly cool” housing market rank and look at research that considers additional factors. In a comprehensive study of the Health of Housing Markets (HoHM) Report by Nationwide—a report that considers sustainable housing trends such as housing price growth, job growth, and unemployment rate—Erie, PA ranks in the top ten healthiest metropolitan areas in the U.S.! So while cultural amenities are essential (as we’ll discuss further in a moment), Politico found that housing cost is the number one impediment to attracting millennials—currently the largest demographic in the market—to a city. Affordability, however, is Erie’s strong suit. Whether you decide to buy or you opt for a rental, one fact remains true: Erie, PA, is changing for the better. Over the past two years, the urban core has seen millions of dollars of financial investment from major businesses, with more than $638 million invested across the entire county. As more funding is injected into the local economic landscape, more employment opportunities will emerge, which also means more working-age prospective buyers will be scouring the area for a home. Besides a climbing economy, cultural amenities are still a major factor in attracting and retaining residents. In fact, a city’s offerings are one of the main reasons millennials choose to move to a location—83% said they’d rather work a lower-paying job in an area that’s culturally and personally enriching than take a higher salary in an unfulfilling place, according to Community Builders. In Erie, it’s the award-winning craft breweries, national-caliber philharmonic, food truck festivals, and an endless array of theaters and social clubs that draw in crowds. While Erie may not have the hottest market at the moment, it’s healthy, showing signs of strong organic growth, and most importantly, it’s affordable. Thus, buying a home in this city could mean a higher ROI down the road, compared to other cities that have already peaked, such as Pittsburgh or Seattle. Whether you’re looking to invest in new construction, a fixer-upper, or a place that’s move-in-ready, your options are plentiful in Erie, PA. If you’d like to learn more about Erie’s market, our current listings, or our custom building process, click here to contact us today. —is the affordability of real estate in the Gem City, the benefits of equity, and a surprisingly healthy market.